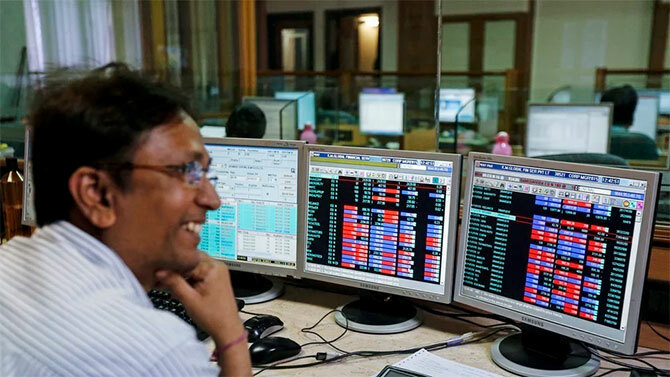 Between May 26, 2014, when Narendra Modi became the 14th prime minister of India, and December 5, 2016, 39 of the 137 mid-cap stocks from the BSE Midcap and Nifty Midcap indices have surged between 100% and 338%. Of these, five stocks -- Havells, NCC, Suzlon, Blue Star and Crompton Greaves -- look the most attractive after the recent course correction. Hamsini Karthik/Business Standard finds out the reason behind their success. IMAGE: Ffocused effort to reduce debt and improve core competence are making these 5 mid-cap stocks stand out. Photograph: Danish Siddiqui/Reuters. It is not unusual to see mid-cap stocks running ahead of fundamentals and falling sharply when the trend reverses. It is then important to remove the wheat from the chaff. Five companies have taken a course correction which in addition to improving their earnings prospects could lead to a further re-rating by the Street. Over the past two years, they have streamlined their business operations and increased their focus on core competencies. Havells, for example, sold its overseas business to concentrate on domestic operations. out as unique and are expected to outperform. Learning from past experience, it avoids low-margin businesses and is focusing on expanding share. Market share has risen from seven per cent in FY14 to over 10 per cent. Also, monetising its non-core assets, mainly land, has helped it to reduce debt. Its sustained investment in the cooling products business is a positive, feel analysts. Renjith Sivaram of Antique Stock Broking feels it is well placed to capture higher share in room air-conditioners and its leadership position in domestic projects business will support its growth prospects versus peers. The order book of Rs 1,550 crore (Rs 15.5 billion) should help it weather any slowdown due to demonetisation. There was little hope for Crompton Greaves (demerged industrials business) at the start of 2016. But, management decisions such as sale of its ailing international power business and more recently its international automation business, helped it to win back lost faith. Now, for the largely domestic-oriented, debt-free engineering company, analysts at Religare Capital believe the earnings trajectory for FY18 could surprise on the upside. The recent 11 per cent stock price correction offers a good entry point. Sale of its overseas business helped it regain focus on domestic operations. Leadership in the switchgear business and dominance in the switches and cables business are key reasons why analysts continue to like Havells despite its high valuations (38x FY17 earnings). Naveen Trivedi of HDFC Securities highlights that high focus on dealer/distributor expansion, consistent new launches and healthy operating margin of 14 per cent support the investment rationale. Havells has corrected 15 per cent since November 8 due to demonetisation concerns. However, analysts feel that given its leadership position, it could recover faster than its peers as the impact of demonetisation settles. An example of successful business restructuring in infra space, while larger peers such as Gammon are still grappling with high debt. Consolidated debt as on September 30, stood at Rs 3,422 crore (Rs 34.22 billion), down from Rs 3,909 crore (Rs 39.09 billion) two years before with interest coverage improving to 1.7 times versus one earlier. That apart, its asset-light working model and operations across all spheres, including urban infrastructure and metals and mining, supports an investment rationale. Parvez Akhtar Qazi of Edelweiss says a strong balance sheet and improving margins make it an attractive bet. Despite, one of India’s richest investors, Dilip Shanghvi, putting money in Suzlon, investor sentiment around the stock continues to remain weak. That should change, as it posted a net profit for the first time in five years in the September quarter. What’s interesting is that even as it has Rs 12,047 crore of debt, the order book of 1.2 gigawatt and 30 per cent market share (19 per cent in FY15) offers strong earnings visibility. “We forecast recurring profit of Rs 270 crore in FY17 after five years of losses and expect 74 per cent earnings growth in FY17-19,” says Anubhav Gupta of Emkay Global. 3 stocks that can make you RICH!